Quick feedback about availability of individual SKUs. This daily updated report enables a flexible response to problems with availability. 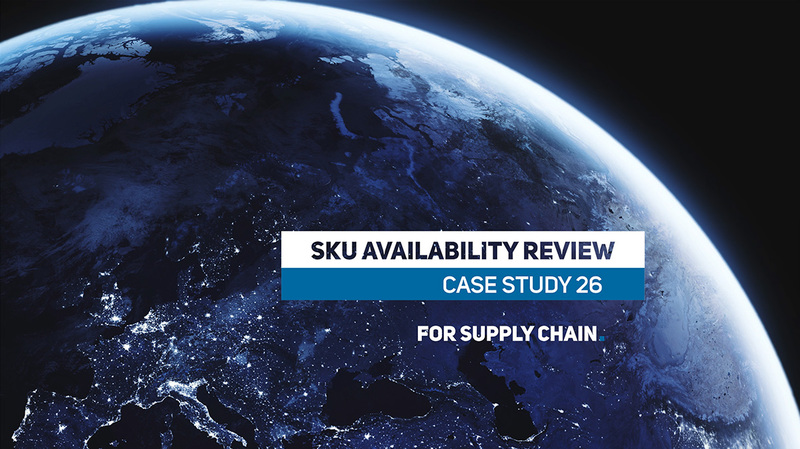 SKU Availability Report is a controlling tool for the forecasting department of a client that has tens of thousands of B2B customers. 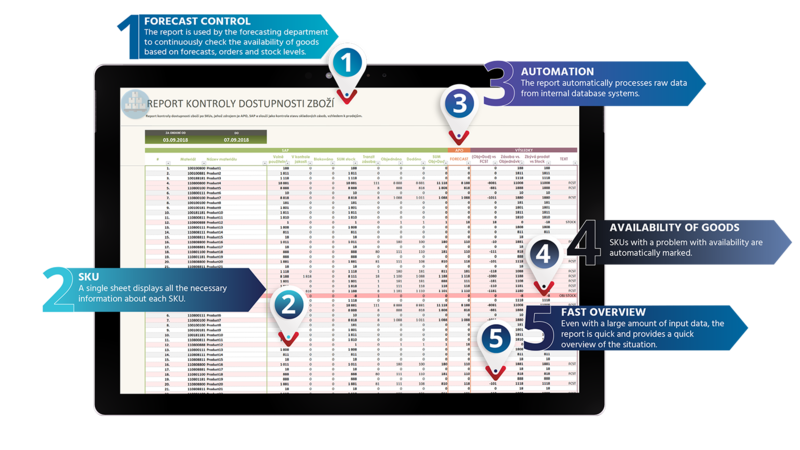 On a daily and weekly basis, it automatically compares stock levels with forecasts and current orders. It takes into account also blocked goods that is on stock but is currently unavailable for some reason. Our client wants keep an optimal amount of goods on stock, which is economical and logical. The challenge is to find a balance between forecast, production, import, customer orders, and warehouse capacity. Thanks to the SKU Availability Report, the forecasting department can check the real quantity of goods available and take into account received orders as well as forecasts. It gives them a qucik feedback and the possibility of flexible response to any SKU availability issues. Two sets of data from client database systems enter the report. The first is related to stock in all warehouses, including blocked goods, goods undergoing control of quality etc. The second set is related to the forecast for the following days and weeks. The report runs in MS Excel. The input data automatically passes through a series of calculations to show the real availability of each SKU. The overview section of the report is sorted by SKUs. Products that have a problem with availability are automatically highlighted. Reasons for limited availability are based on calculations made from input data. The forecast might be too high, there might be a larger quantity of SKUs in quality control, a big order might have been issued, there might be a need to keep minimum stock or a combination of several reasons. Thanks to sophisticated algorithms, the report enables fast processing of large amounts of input data and so all calculations are performed in a very short time. It displays the results in a professionally graphically designed interface that is user-friendly and easy-to-read. The client updates the report on a daily basis and evaluates the results on a daily or weekly basis. We have developed a number of solutions in the area of both inventory management and foreacasting, i. e. Days of Supply Report or Forecasting Tool for optimized sales forecast.